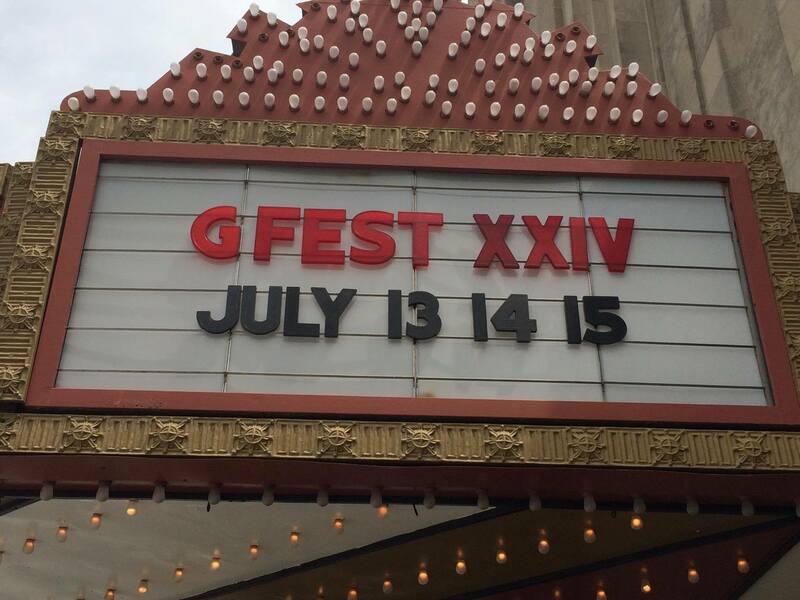 Our first G-Fest has come and gone! We had a great experience. Thankfully, there were two of us so we were able to split up and cover the panels and other events during the three-day show. 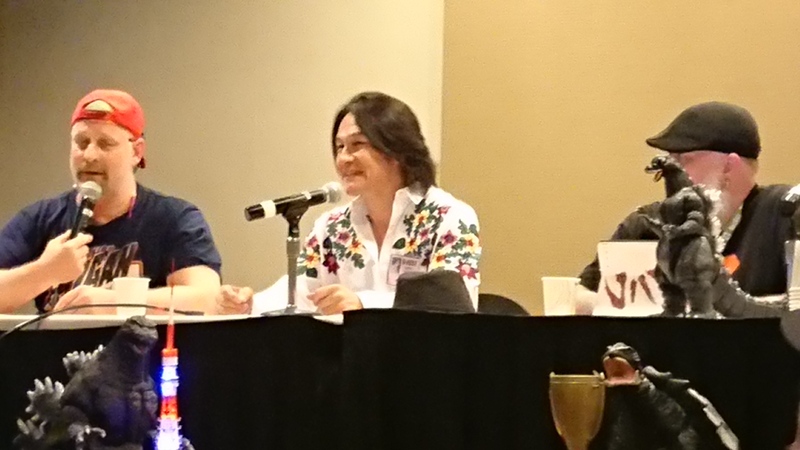 First, during the “Mothra Mania” panel on Friday, we were surprised by a great performance by two cosplayers who sang “Mothra’s Song” as the Shobijin, Mothra’s twin fairies. There were costumes and cosplayers in abundance during the convention. We attended the costume contests, which featured some really impressive entries. 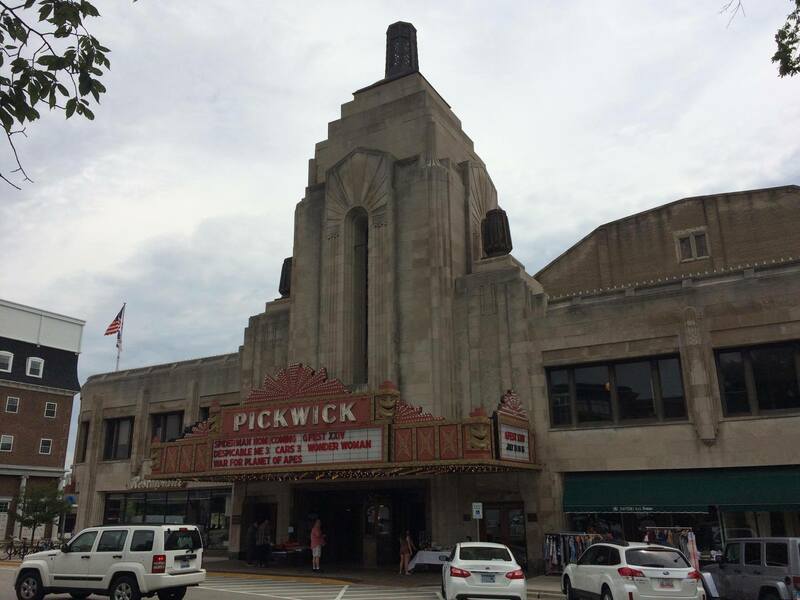 It was fun to see all of the films at the Pickwick Theatre. Watching the movies with a huge group of fans was different than watching them with a general audience. They would cheer and applaud at key moments like when a kaiju or favorite actor first appeared, or when Godzilla defeated his foe. The films offered this year were “King Kong vs. Godzilla” (1963 International Version), “Dragon Wars: D-War” (2007), “Godzilla X Megaguirus” (2000), “Godzilla” (2014), “Kong: Skull Island” (2017), and “Shin Godzilla” (2016). 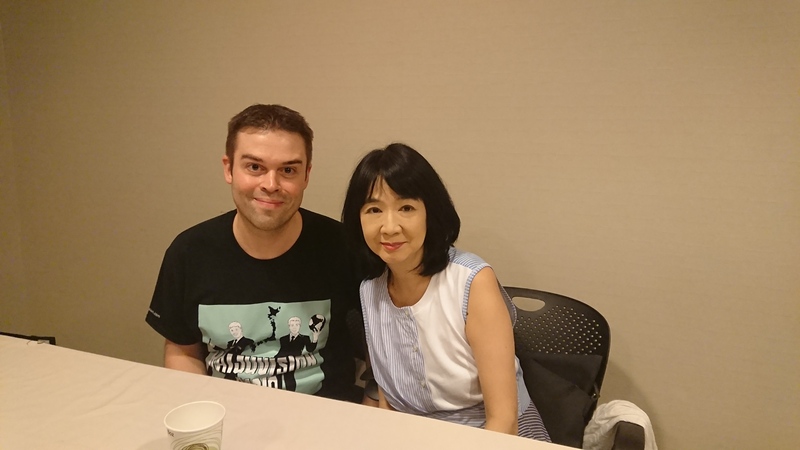 Because I’m a violinist who has great admiration for her work, I opted to meet the very talented composer Michiru Oshima, who wrote the music for “Godzilla X Megaguirus” (2000), “Godzilla Against Mechagodzilla” (2002), and “Godzilla: Tokyo S.O.S.” (2003). Nathan met headlining G-guest Shinji Higuchi, the co-director and special effects director for “Shin Godzilla” (2016). 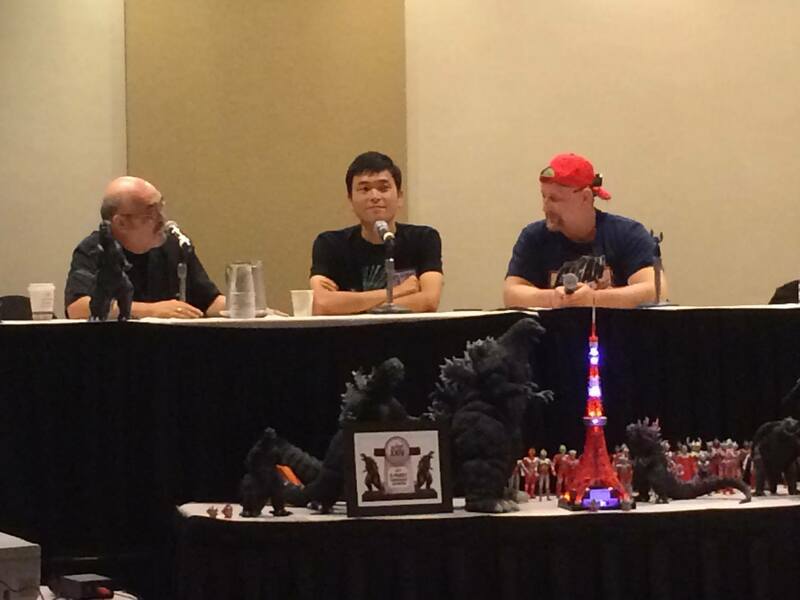 Most noteworthy, Nathan was also asked to join “The Art of Kaiju Writing” panel about writing kaiju fiction. We also both met Robert Scott Field, who played the android M-11 in the film “Godzilla vs. King Ghidorah” (1991). Since he lives in Osaka, he was able to give fans, including myself, information about what’s been happening lately in his adopted country at his “Japan Update” panel. Here are pictures from some of the G-Guests we saw. It’s awesome that they traveled to the U.S. to visit with us and tell us about their Godzilla experiences. It’s only been a few days since the convention, and Nate misses it already, while I’m getting caught up on rest. Now my mind is buzzing with ideas about how to continue to make this podcast even better after all we learned and experienced last weekend.